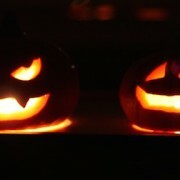 Halloween is almost upon us and already carved pumpkins are widely on display. It’s a tradition with a long history, but not without change. In my childhood we carved spooky faces not into pumpkins but into turnips; before I first went to the USA I don’t think I’d even seen pumpkins, which are native to North America. But nowadays the more spectacular American version has taken over in the UK. There, as in jack o’lantern and three o’clock, the only thing between President and United States is a little schwa. 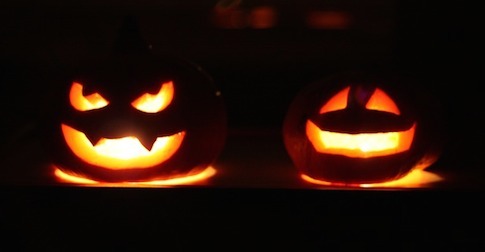 Jack of the lantern was historically reanalyzed as an indivisible unit, giving plural jack o’lanterns (not jacks o’lantern). In last week’s post I discussed how some English speakers, including a number of non-natives, have reanalyzed point of view in the same way, giving plural point of views rather than points of view. The of in point of view is generally /əv/ at normal tempo, /ə/ in rapid speech.